Enjoy your ride with this amazing Happy Hippo that loves to kick back with you and your family. He is just not a cute face but also very strong. 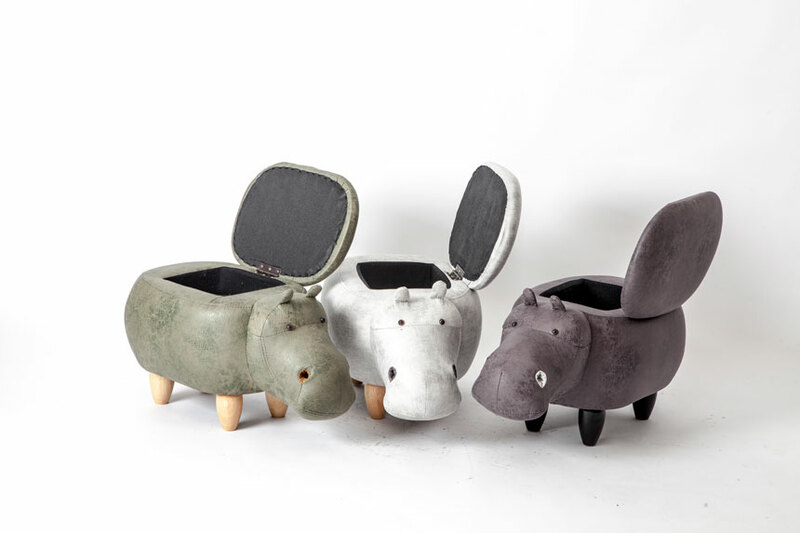 Happy-Hippo™ comes with a thick foam padded seat and a storage box. 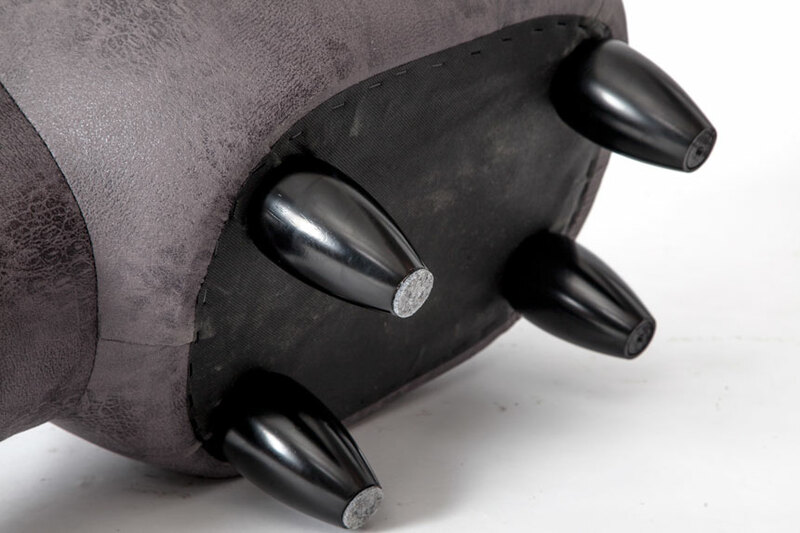 He has a sturdy wood frame, rubber wood legs, faux leather with foam padding. He loves to stay by your side and makes a perfect partner at home. 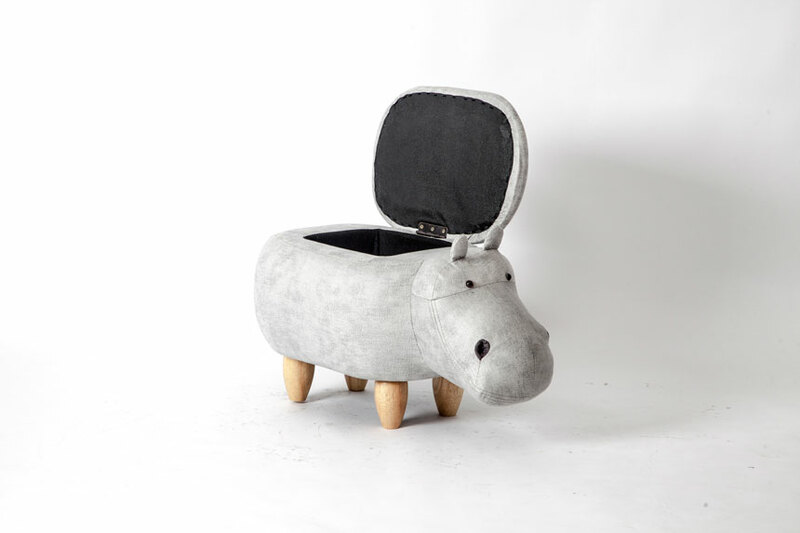 Exceptional Comfort - HappyHippo™ comes with a thick foam padded seat and a storage box. He has a sturdy wood frame, rubber wood legs, faux leather with foam padding which makes him a perfect play buddy for your kids and comfortable extra seating for you. Size- Happy-Hippo™ is just the right size to be displayed anywhere in your home or office without taking up too much space, nor is it too little where the cool details become hard to see. Storage space measures- 7.9 x 7.9 x 7.9 while the stool measures: 25.6L x 13.8W x 14.6H in Size. Strong and Durable- With a weight capacity of up to 150 kg, Happy hippo is easy to maintain and promises to deliver many years of great fun for you and your kids. 6 different Colors- Variety of colors with each design carved, textured, detailed, and made with high quality material to match your decor.